Race through the Inflatable Obstacle Course! Inflatable obstacle courses let you race your friends over hills, down slides, and through pylons. Obstacle courses are perfect for large events and small parties alike. Kids and adults love racing each other on the inflated course! These inflatables are big, colorful, and bright. They are really great attention-getters at any event. 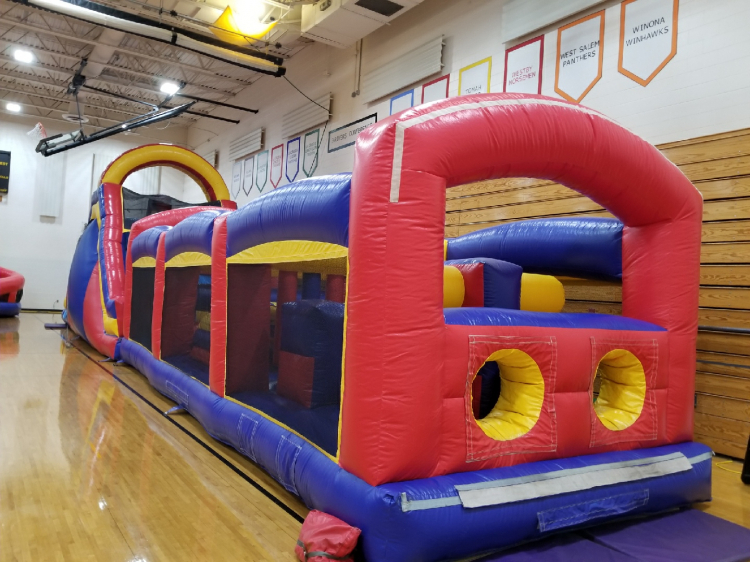 Obstacle Courses are great for your next back yard party, school event, church festival, or corporate picnic anywhere in Madison, Dane County, WI. Price: $649.00 per 7 / hrs. Price: $649.00 per 3 / hrs. Price: $649.00 per 4 / hrs.